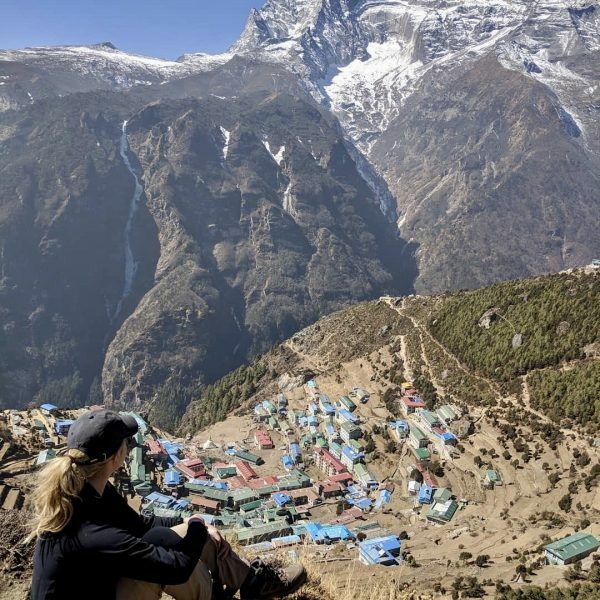 When planning our next foray out of the United States, my co-conspirator Cara and I had three specific goals we needed to fill. 1) Are there ruins and incredible vistas to drool over and learn from? 2) Would there be magical textiles to adorn ourselves? 3) FOOD! 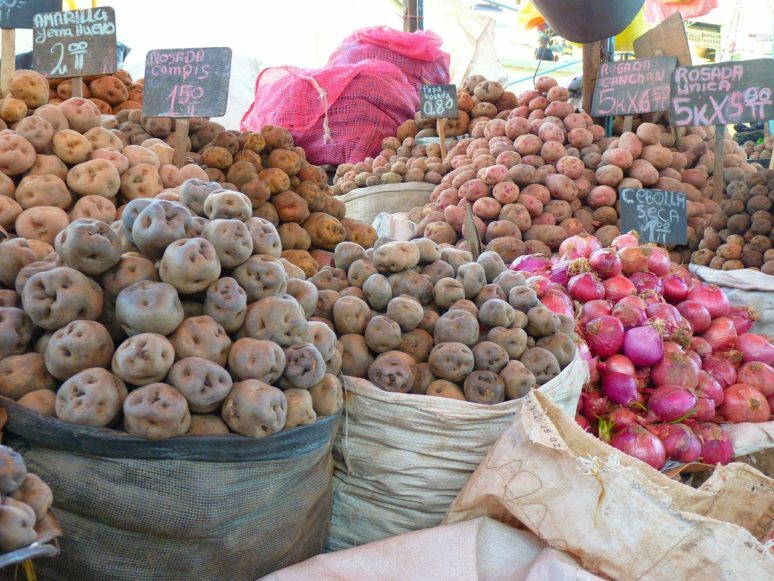 Naturally, our requirements led us straight to the diverse country of Peru, home of many an archeological site and 3,000 varieties of potatoes! Our first stop was the quaint village of Ollantaytambo, known for the massive Inca fortress framing the back of the town. 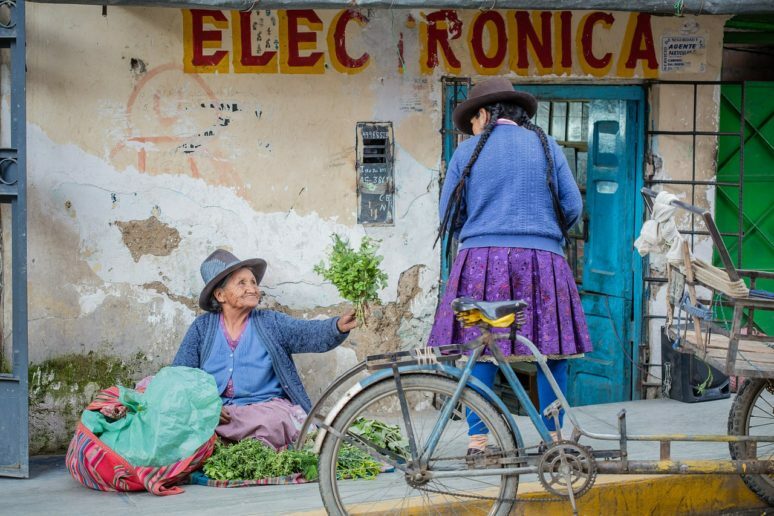 Ollanta, as the locals call it, was a good base to get acclimated to the altitude of the Sacred Valley. 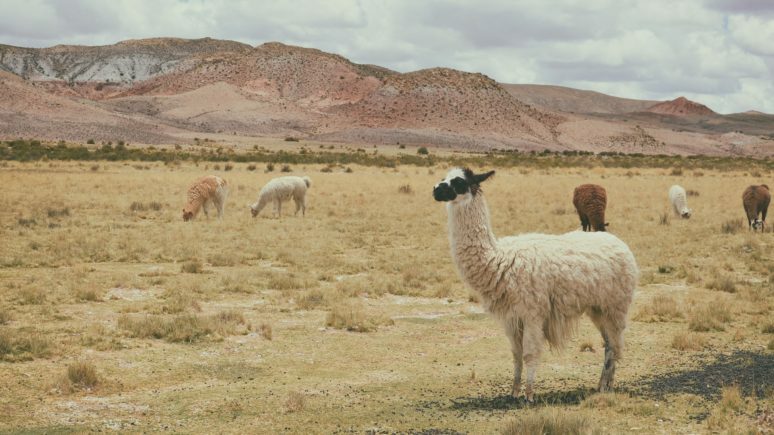 We spent our days wandering the impressive ruins of the fortress, Llama watching, and perusing the limited market filled with iterations of the same patterned textiles and fuzzy plush Alpacas. At night, we posted up at the amazing El Albergue, the coolest joint in town. While eating delicious food and drinking IPA’s from the Sacred Valley Brewery. We were content to watch the rail disembark its passengers, as the restaurant was situated in the train station. Normally, dubious criteria for a high-end establishment, nevertheless, a hotel and restaurant of superb quality are what you will find at El Albergue. 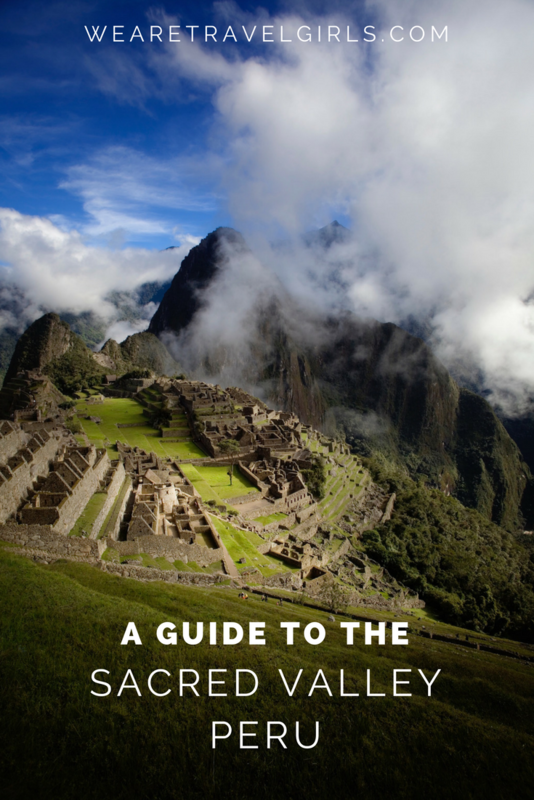 Next, the reason most tourists venture to Peru: Machu Picchu. 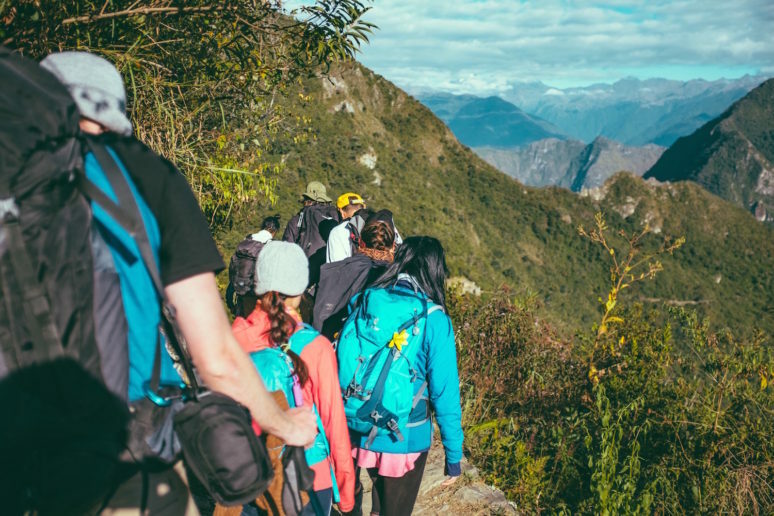 We traveled by Peru Rail to Aguas Calientes aka Machu Picchu town, arriving just in time for a delightful meal and restful sleep at the charming Hotel Rupa Wasi, built high up in the trees overlooking the town center. Then up in the wee hours to catch a rickety bus ascending to the pride of the Incan Civilization. 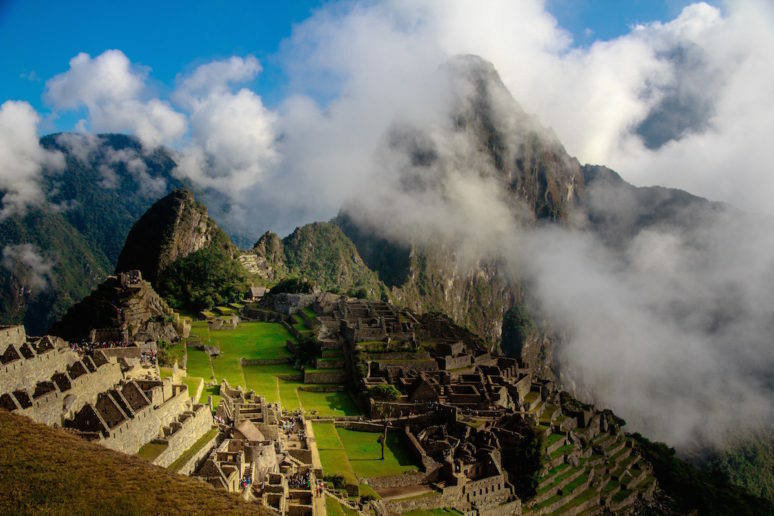 Machu Picchu’s clandestine location made it easy enough for the Incas to evade Spanish detection during the conquest, hence its well-preserved splendor. It was enlightening to walk through the many sections of the complex, like the housing sector, the government sector, etc. The crowds were quite overwhelming, but we managed to escape the fray by partaking in a steep, gruelling climb of Machu Picchu mountain, which resulted in stellar views of the ruins (and of the rolling fog which obscured our view right as we reached the summit). 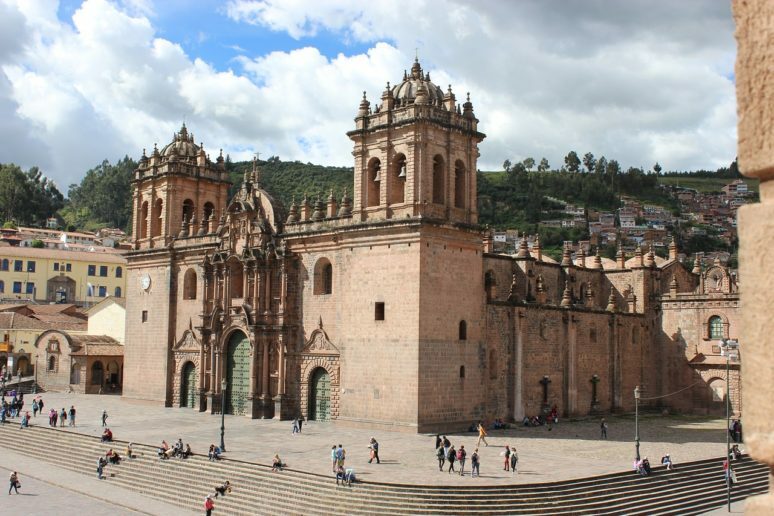 Afterward, we hopped the train to Cuzco which is the gateway to the many sights of the Sacred Valley. Cuzco is a very charming city, but the old town was very saturated with tourists and felt very consumer driven. It was hard to engage with the locals as they were rightfully wary of all the visitors. We spent time exploring the hilly side streets of the artistic quarter, San Blas and lounged at the Cuzco Cathedral whilst dodging stray dogs. Dinner at Cicciolina was another stunning affair (highly recommend the charred octopus starter), which was preceded by the best Pisco cocktail of our trip at the delightful Hotel Monasterio. 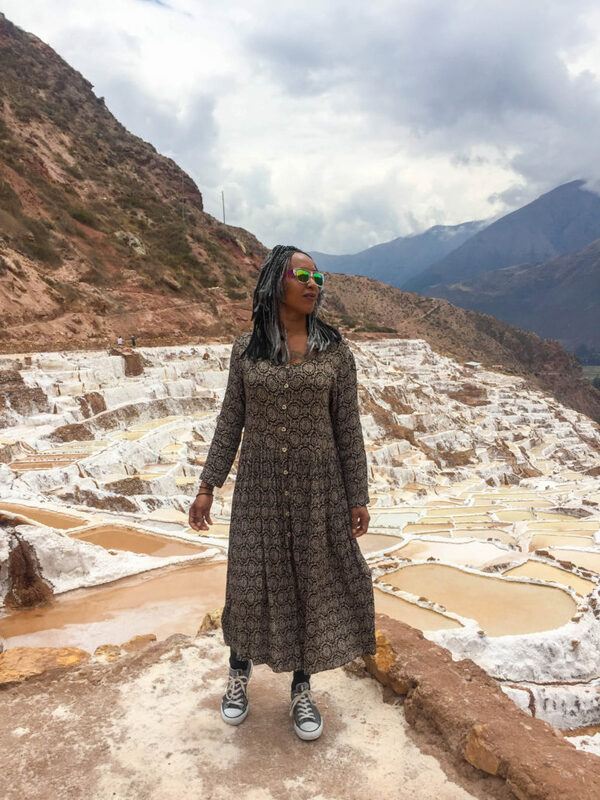 While based in Cuzco, we took a day trip to the nearby town of Pisac to check out the ruins, agriculture terraces, and much-touted market. 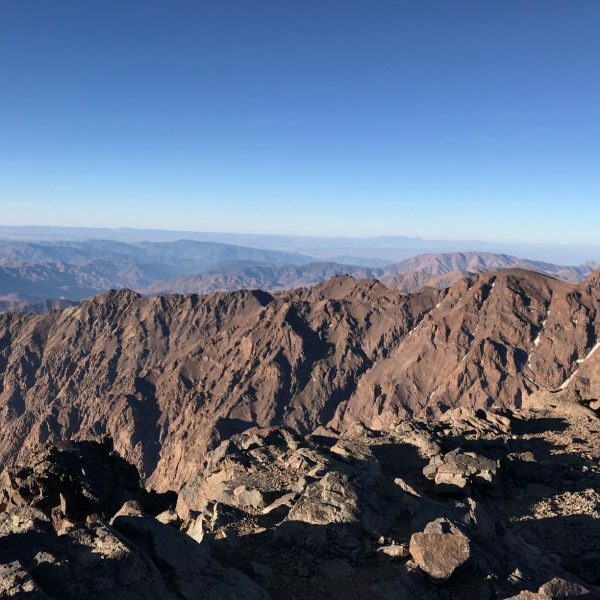 The ruins were impressive and offered a stunning view of the Valley, and traversing the steps was quite the workout. 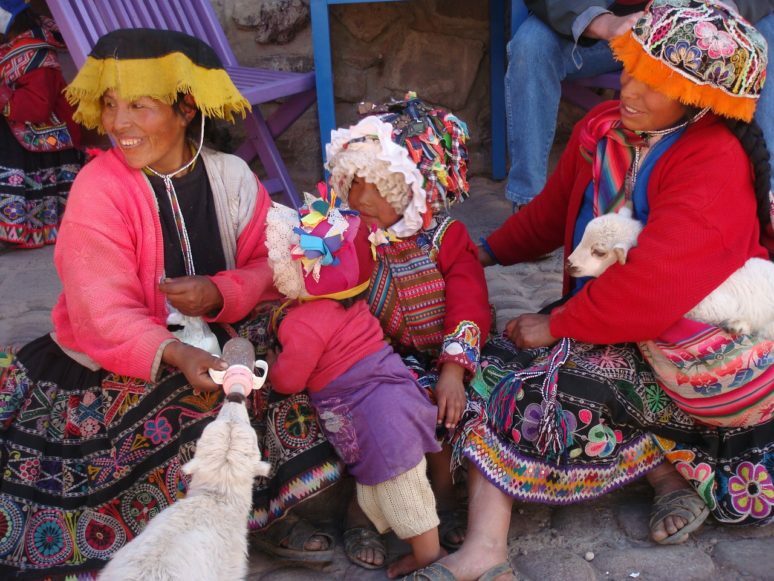 Less exciting was the market, with every vendor carrying the same mass produced items, and ladies adorned in traditional Peruvian dress thrusting baby Llamas into our unsuspecting arms for a small fee. 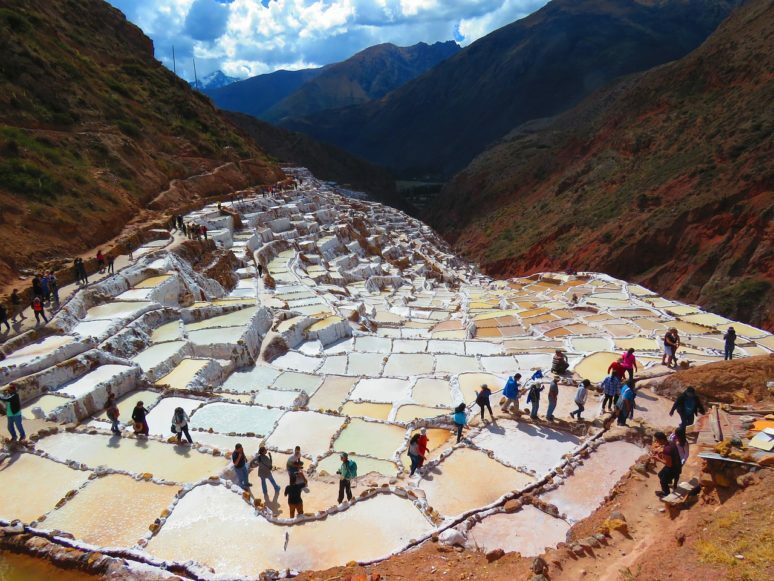 A more interesting jaunt was to the town of Maras to visit the concentric circles of Moray, and the Salineras (salt flats). The symmetry and precision of Moray were mind boggling, and we were mesmerized by the layers and textures of the Salineras, which made for an excellent photo backdrop. Walking around the slippery salt mines was tense, but worth it to see the thousand-year-old process of salt extraction harvested by families happening right before our very eyes. We ended our trip in Lima where we looked forward to resting after all the strenuous ruin hunting. 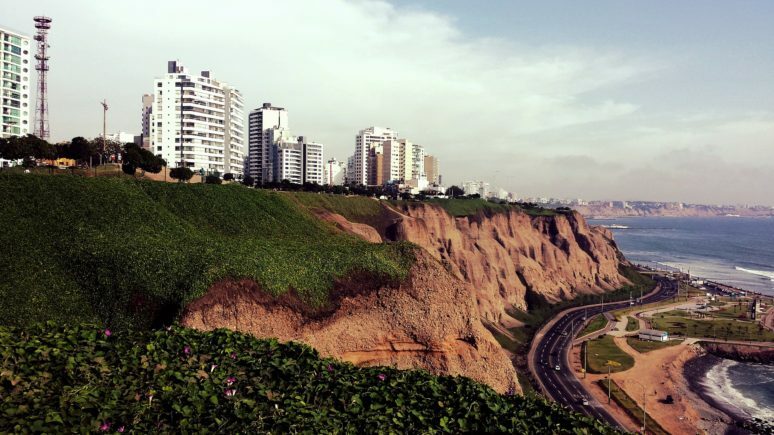 A bustling, friendly city with minimal tourist presence, Lima had beautiful colonial architecture and an internationally renowned culinary scene, to our pleasant surprise. We stayed in Barranco, a bohemian neighborhood by the cliffs overlooking the Pacific Ocean, and planned all of our activities to revolve around food. Ceviche was our #1 priority, our go to places were the highly esteemed La Mar and El Mercado, both on the 50 best restaurants in the world list. Our Airbnb host also recommended Canta Rana, a neighborhood spot that was under the radar. All three were superb, but La Mar was the clear favorite, with flaky, tender fish and shellfish, a tangy broth filled with sweet potatoes and corn for added texture. Honorable food mentions go to the food and drink presentation at ámaZ, which married ingredients from the Amazon jungle with coastal Peruvian flavors. But overall, the best dining experience was had at El Mercado, for aesthetic, presentation, taste and flavor balance it could not be beaten. We were sad to leave Peru, but felt accomplished at having visited and trekked Machu Picchu. Even though the crowds were overwhelming and detracted from the overall experience, it was still 100% worth all of the effort. 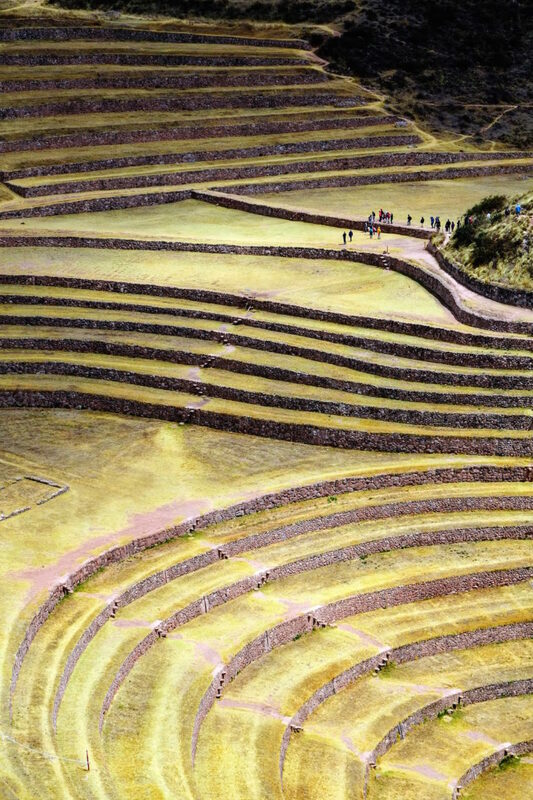 If you are claustrophobic or have already been to Machu Picchu, the lesser known ruins at Pisac, Moray and the salt flats in Maras are attractive alternatives. Even though the textiles at the markets were mass produced we did find unique souvenirs at the fair trade cooperative in Ollanta, bundles of sweet, smoky smelling Palo Santo at the apothecary in Pisac, and many quirky boutiques in Barranco featuring local and independent designers and artisans to satisfy our shopping fix. The food alone in Lima warrants a return trip to Peru, in my humble opinion. Maybe tack on the Uros Islands in Lake Titicaca, Arequipa, the 2nd largest city in Peru, or the Amazon Jungle to justify my expenditure, and to flesh out my understanding of this beautiful, ancient, friendly, and dynamic country. See you soon, Peru! Great guide! I am pleased to hear the ruins were not a letdown. That is what I would be most interested in seeing. Unfortunately, I am a picky eater so never really travel for the food, although I can appreciate your satisfaction. 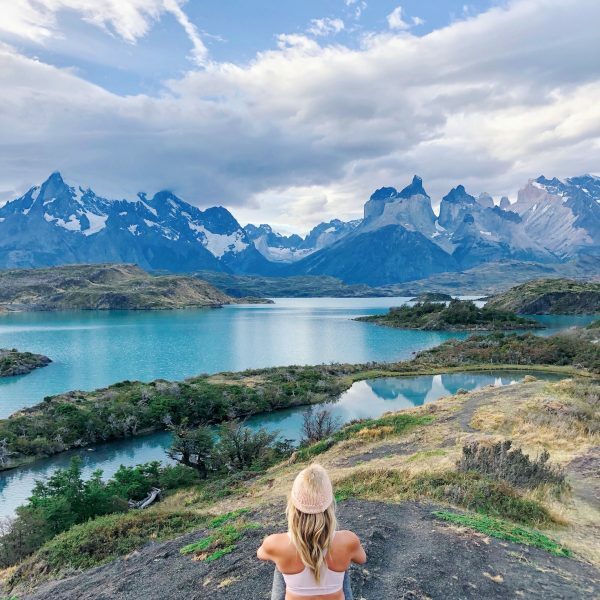 There is so much besides the known Machu Picchu I never knew. 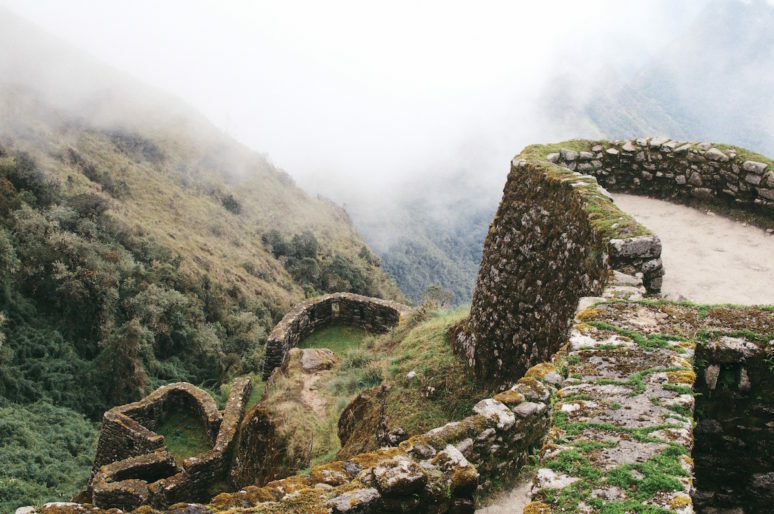 Peru looks like an amazing place with tons of history to learn about.